Given the majority of legal disputes that settle before going to trial, the role of a modern civil litigator has shifted from not only being a courtroom specialist, but also being an expert in negotiation. As Rubin Thomlinson LLP represents both employers and employees, we have somewhat of a unique perspective when it comes to negotiating a settlement. Obtaining a statutory declaration and/or “Notice of Debt” regarding employment insurance. Employers are often more concerned with how much money they will be paying out of pocket than how those payments are allocated. However, in some circumstances, employers will take a principled approach and refuse to allocate any amount to legal fees even after the parties have agreed to a fixed amount for the settlement. Employers may choose to follow this approach with the hope of discouraging employees from seeking legal counsel upon dismissal. However, this could cost the employer. Alternatively, settlement funds could be allocated to legal fees on condition that the employee agrees to keep the terms of the settlement confidential. The payments are not insurable income (i.e. it does not negatively impact an employee’s ability to receive employment insurance). When employees pay legal fees, they are paying not only their lawyer’s hourly rate, but also harmonized sales tax (HST) on top of that. However, an employer receives input tax credits (i.e. a credit that can be used to offset outstanding HST remittance obligations, “ITCs”) when it pays HST on legal fees. For example, consider when an employer agrees to allocate $5,000.00 towards an employee’s legal bill (inclusive of HST—i.e. $4,424.00 being legal fees and $576.00 being HST) as part of a settlement. As a result, the employer will receive an ITC of $576.00 which can then be used to offset future HST payable. This means that while the employee receives $5,000.00, the employer’s net cash outlay is only $4,424.00. To mitigate this risk, the employer should insist that the employee provide an indemnity for any of the claims, interest or penalties arising from the failure to withhold or contribute the above–noted amounts. However, employers should be cognizant that in some circumstances, pursuing a claim under an indemnity may not always be cost effective (e.g. consider that an employer may not want to pursue a $1,000.00 claim against an employee). Between the time that an employee is dismissed and when their claim is settled, they have often received employment insurance payments. However, if the employee then receives a payment on account of a period during which they received employment insurance payments, both the employee and the employer become liable to repay the employment insurance overpayment. If the employee confirms that they have received employment insurance payments, the employer should ask them for a record of all payments and withhold the gross amount until the exact employment insurance overpayment is confirmed through a “Notice of Debt” from Employment and Social Development Canada. 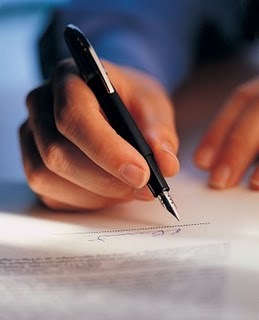 Allocating settlement funds to legal fees and insist the employee agrees to keep the terms of the settlement confidential. Obtaining an indemnity from the employee for the consequences of any failure to withhold CPP, EI or tax or contribute to EI or CPP. Obtaining a statutory declaration confirming that the employee has not received employment insurance payments. If they have received employment insurance, withhold the gross amounts received until the exact overpayment is confirmed through a “Notice of Debt” from Employment and Social Development Canada.